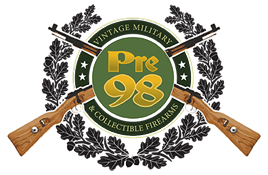 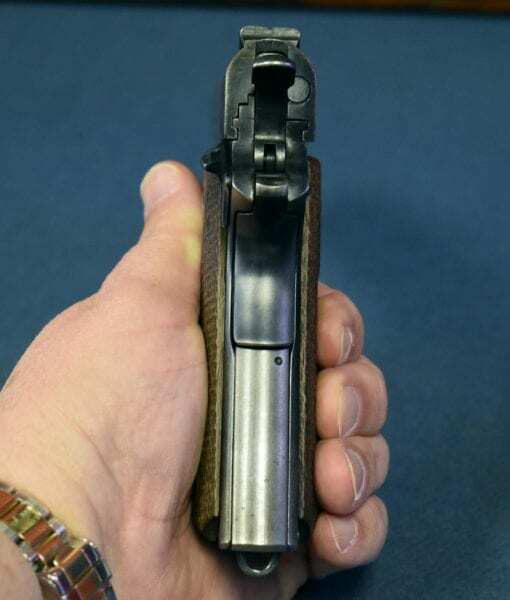 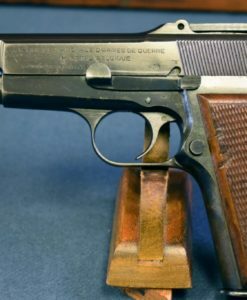 IN A NICE 92% ORIGINAL CONDITION, 100% CORRECT, WE HAVE A FEBRUARY, 1918 PRODUCTION BRUSHED BLUE FINISH COLT MODEL OF 1911 US ARMY SERVICE PISTOL. 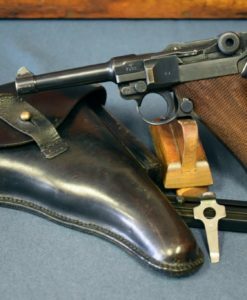 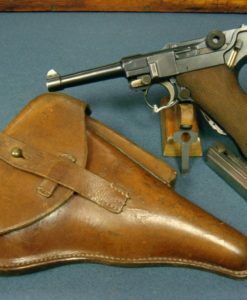 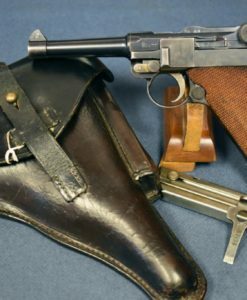 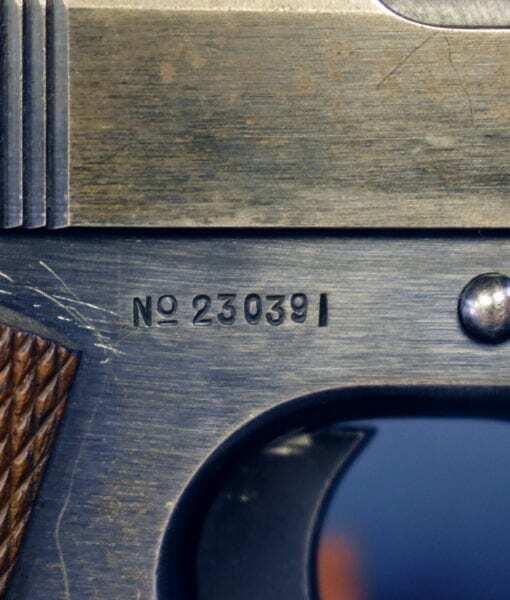 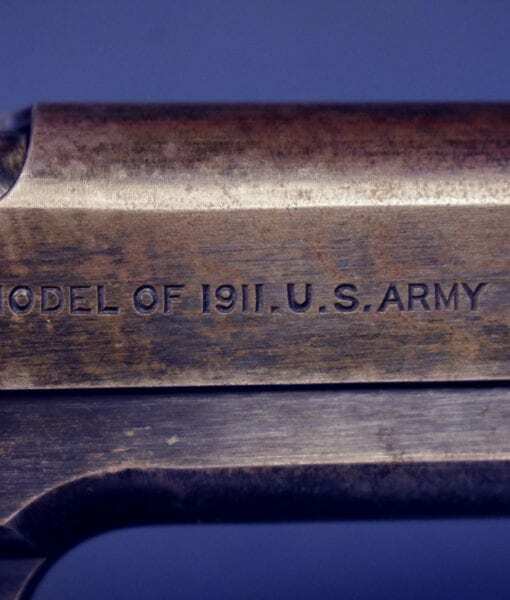 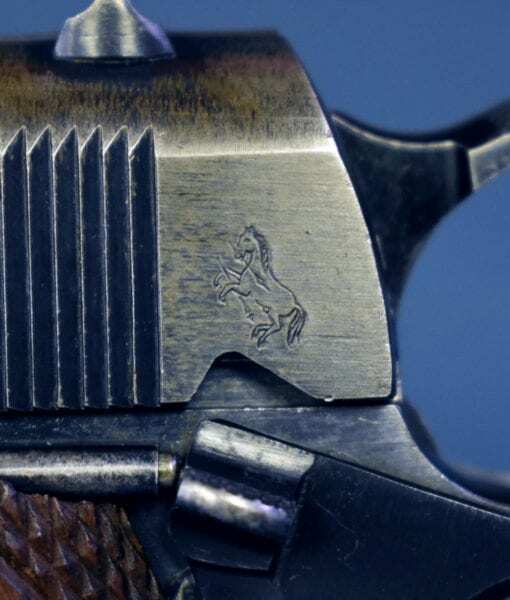 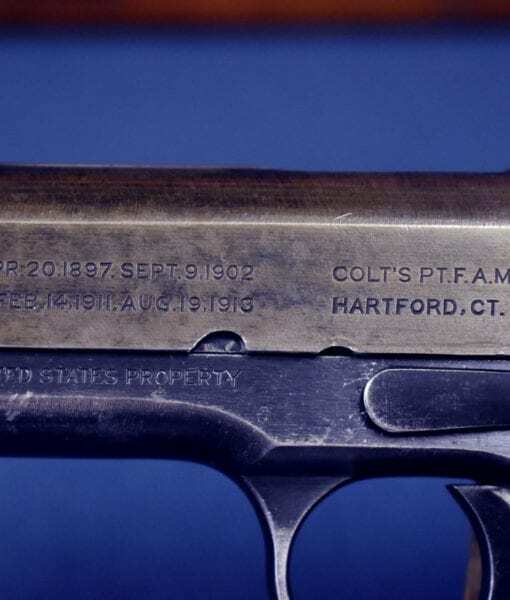 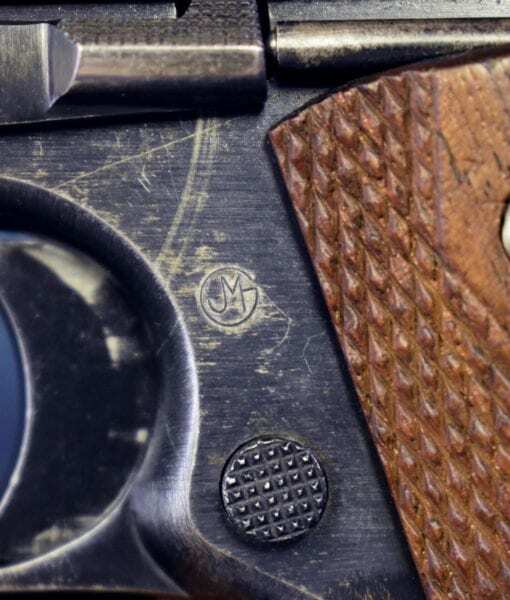 THIS PISTOL WAS SHIPPED TO SPRINGFIELD ARMORY ON FEB 18, 1918. 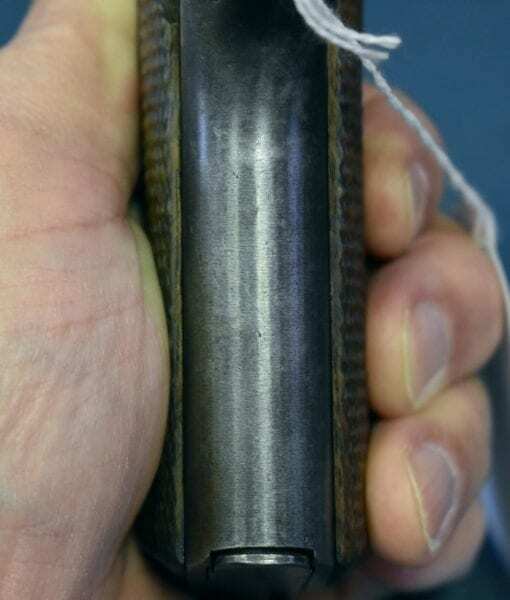 AND IS GETTING TOWARDS THE END OF THE BRUSHED BLUE FINISHED PISTOLS BEFORE THE SWITCH OVER TO THE BLACK OXIDE FINISH. 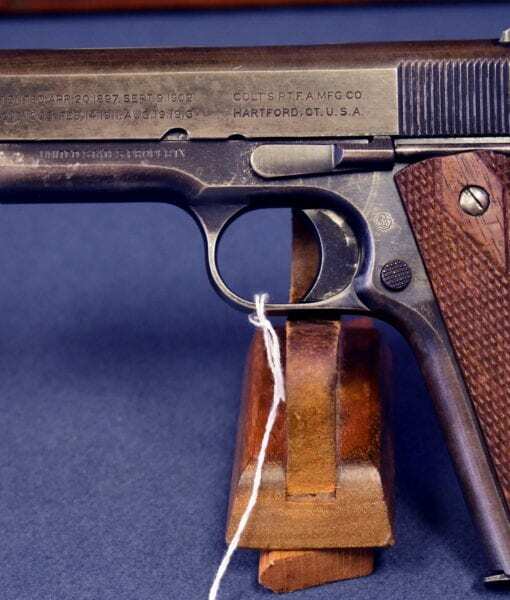 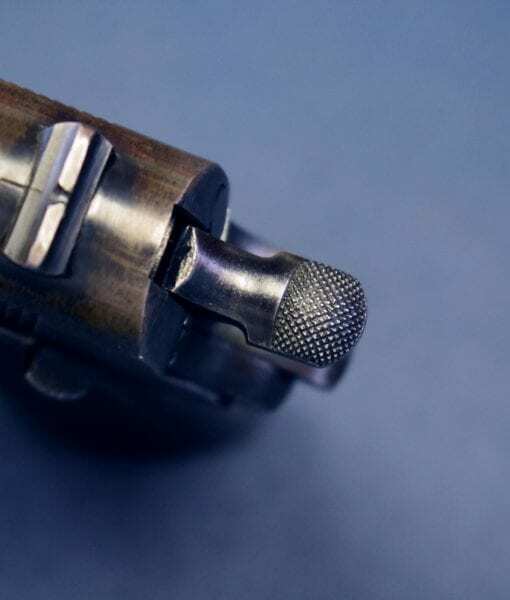 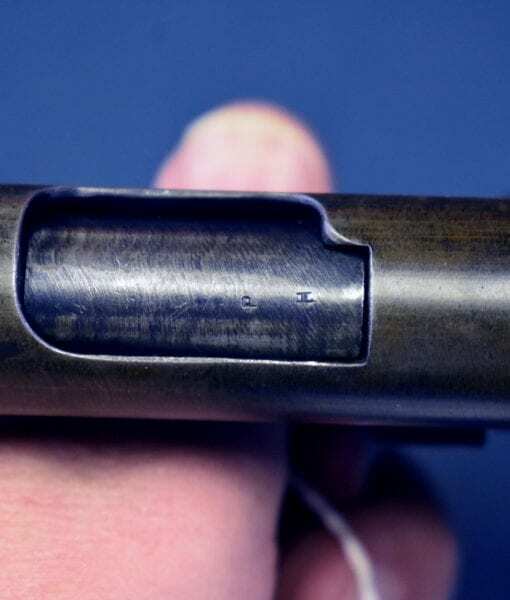 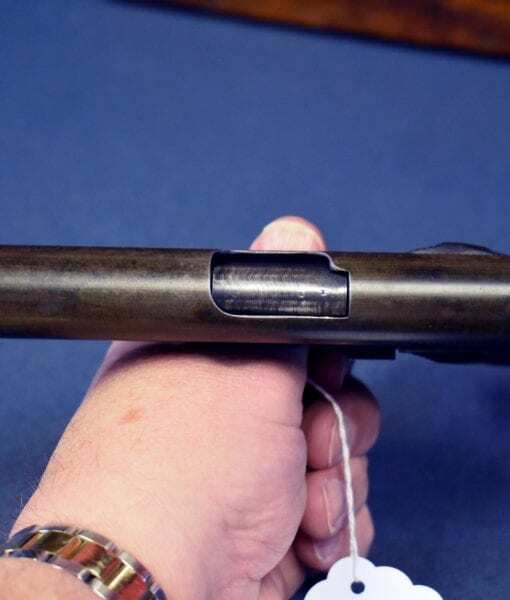 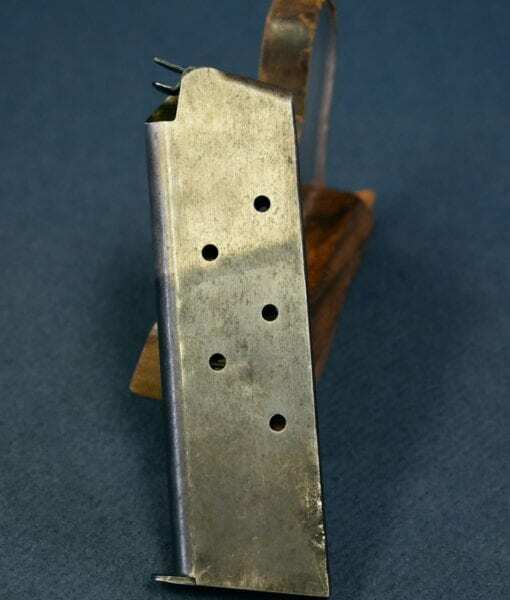 THE PISTOL IS TOTALLY FACTORY ORIGINAL WITH AN EXCELLENT BORE AND THE CORRECT TWO TONED MAG. 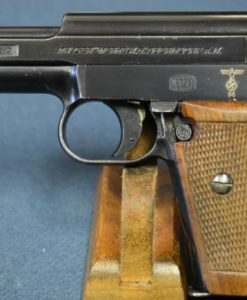 THIS WAS USED BUT NOT ABUSED, IT PROBABLY SAW ACTION IN BOTH WORLD WARS BUT IT IS STILL QUITE PRESENTABLE WITH A LOT OF CHARACTER; YOU CAN TELL IT HAS BEEN THERE AND BACK. 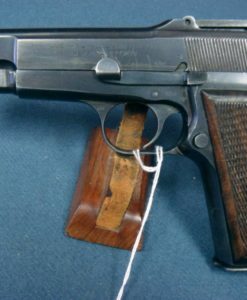 THIS IS BARGAIN PRICED FOR A TOTALLY ORIGINAL PISTOL, A TAD NICER WOULD PUT THE PRICE UP AT LEAST $1,000. 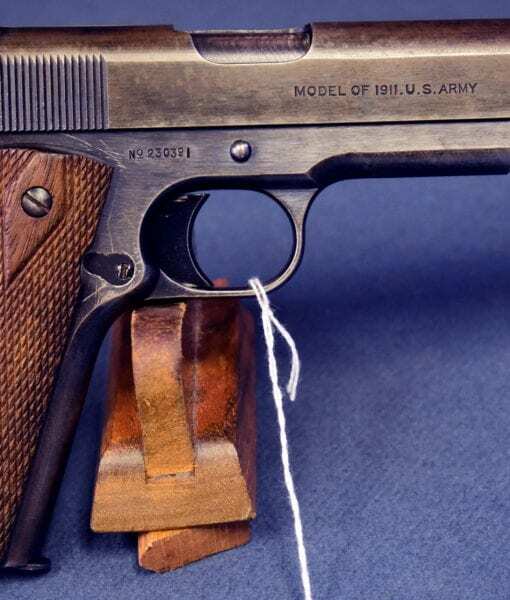 THE ORIGINAL COLT 1911 WAS THE PREDOMINANT SIDE ARM FOR THE US ARMY WELL INTO 1943, IT IS WHAT MOST PEOPLE WOULD HAVE CARRIED AT THE OUTBREAK OF WAR.